Marc Ecko Entertainment today announced that DEXTER The Game is now available for digital download on the PC. The game is based on the Emmy® and Golden Globe®-nominated SHOWTIME® television series DEXTER™ and is available for $9.99. Published by Marc Ecko Entertainment and developed by Icarus Studios in conjunction with Showtime Networks Inc. and CBS Consumer Products, DEXTER The Game is a port of the famed iOS (iTouch / iPhone / iPad) app. You play as the captivating Dexter Morgan, a serial killer who must maintain his nice-guy façade. During the day he is a blood spatter analyst for the Miami Metro Police Department, but at night he creates his own brand of justice on criminals. In fully realized 3D environments, you control Dexter, analyzing crime scenes, uncovering evidence and using stealth tactics to stalk your prey. The outcome of every choice and action revolves around the Code of Harry: only kill the guilty, maintain the “mask” and most important of all, don’t get caught! 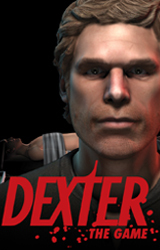 The DEXTER game includes voiceovers by series star and executive producer, Michael C. Hall, and has an original storyline by DEXTER co-executive producer and writer Tim Schlattmann. This game is based on the first season. It doesn’t have an other one, that is based in the second season ? i wasnt very happy with the game :( i love dexter and i did enjoy the game , but the game is way too short. It only covers the first season :/ will there be a second game? or maybe an upgrade containing more levels to play? or maybe even be released onto xbox 360 and Ps3 ?.